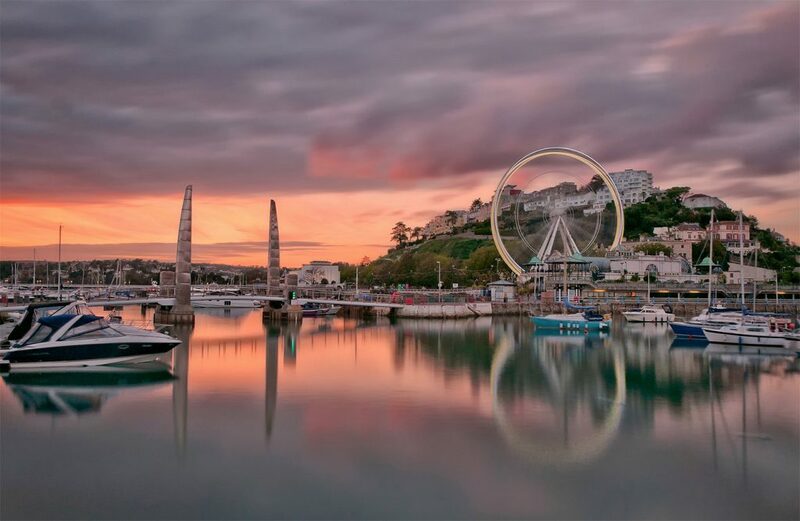 Located a short walk from Torquay’s attractive harbourside, marina, town centre and local amenities, The Westbank is the ideal base from which to enjoy your Holiday or Short Break in Torquay. Part of “The English Riviera” and based on the stunning South Devon coastline, Torquay is one of the UK’s leading holiday destinations and it’s easy to see why! It’s the place to relax, soak up the atmosphere, take in the scenery and experience a holiday in a classic English seaside resort. Along the waterfront you’ll find the palm-lined promenade, seafront gardens, a lively harbour and an International marina. 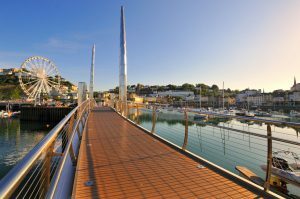 The yacht masts and luxury sports boats lying in the marina framed in front of an illuminated bridge and the coastal footpath make for a great backdrop to enjoy an evening drink after visiting Torquay’s coastal zoo or enjoying a show at the Princess Theatre. Spread along the 22 miles of English Riviera coastline are 19 beaches and coves, incorporating long, open stretches of sand with plenty of facilities, through to much more secluded and private coves. Many beaches in Torquay hold coveted blue flag awards for their cleanliness. Then Torquay is the place for you! It is her hometown and there is an excellent exhibition in the local museum. She was baptized and worshipped at All Saints Church, Torre. Many visitors make an appointment to see the Church where you can hear anecdotes and details of her early life. You can also visit her house near Kingswear or view her estate from the River Dart, a very pleasant outing. 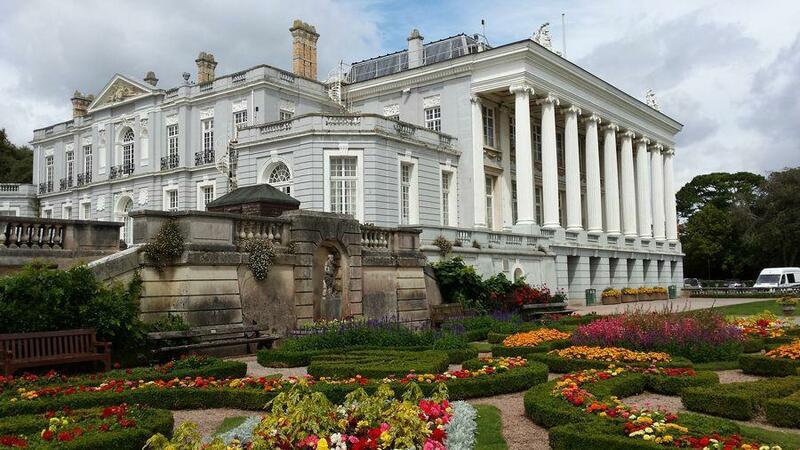 Other attractions include the Pre-historic Kents Caverns , Babbacombe’s model village, the ancient village of Cockington, River Trips, Fishing Villages and well known Theme Parks all a short drive or bus journey away, each with interests for all ages groups. The Westbank is ideally situated for eating out and exploring the beauty of Torbay, with over 22 miles of unspoilt coastline, 18 beaches, secluded coves, and the spectacular, rugged Dartmoor National Park.